Set in a former factory building, Macallum is a roastery, cafè and coffee academy that opened in January 2015. Although a bit of a walk away from the historic center of Penang, it is conveniently located along Lim Chong Eu Expressway. 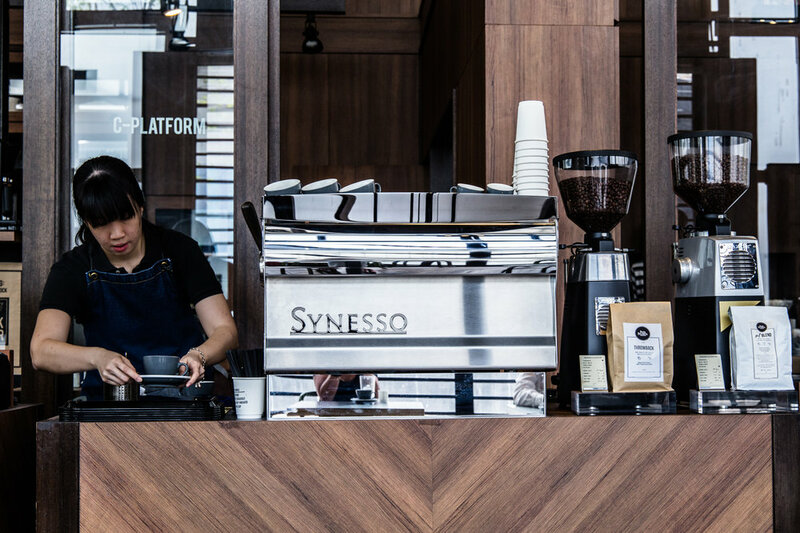 I spoke to Fong Lim, one of six co-owners, who told me about his vision to support young people in their careers as they move from brewing to roasting coffee. The training and roasting rooms looked highly professional and are separated from the cafe only by glass windows. The brewing station is located in the middle of the building, surrounded by different seating options. 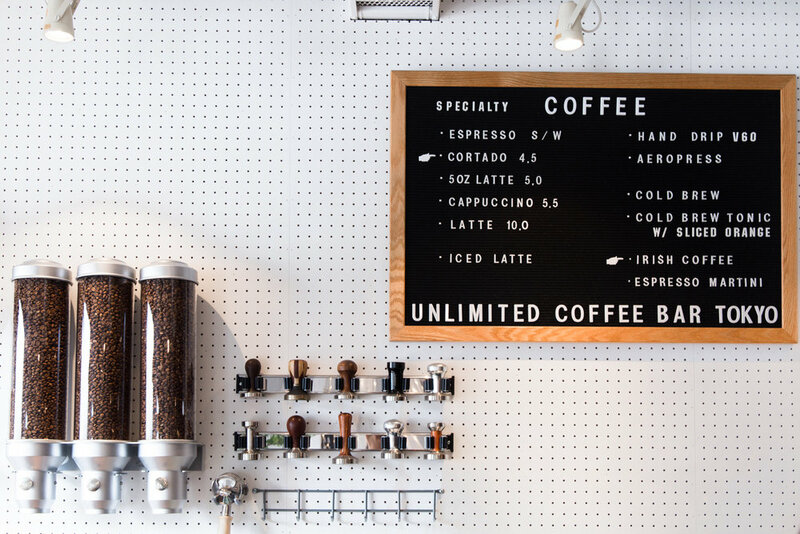 This set-up turns Macallum into Penang's coffee hub with open plan brewing and roasting to the highest standard. Delicate flowers decorate the rustic wooden tables that are spread around the ample space. In the morning only a few places were occupied. It was amazing to see how it filled up quickly with locals working nearby during lunch hour though. The soul of this old factory building still remains intact, thanks to the industrial design accentuated by concrete floors, exposed lighting and a brick counter. The staff were dedicated to brew each and every cup to perfection. The house blend is a medium-dark roast with Brasil Fazenda Parasio, Ethiopia Yirgacheffe Mocca and Guatemala Antigua Pacaya Estate. After giving it a try I also ordered a piccolo latte from single origin Costa Rica Amapola Tarrazu. I loved the natural sweetness and creamy body and it was my preference among the two, although I am pretty sure that the locals would strongly disagree with me. Fong Lim mentioned that most customers are so used to the dark roasted, bitter Kopi that they drink in their coffee shop around the corner, that they find medium roast coffee too weak or tasteless. Hence, the staff at Macallum try their best to slowly accustom people by handing out samples of their delicious drip coffee, a single origin from Kenya that has very fruity flavours and high acidity. Update October 2017 - Spacebar Coffee has left the 'Awesome Canteen' space to open their own coffee shop called 'Ome by Spacebar'. The Spacebar duo Jo and Shean have been rocking KL's coffee scene with pop-up brewing before grabbing an opportunity in Georgetown to open their first permanent café. Sharing a space with 'Awesome Canteen', Spacebar Coffee is located on the ground floor of Sekeping Victoria in Victoria Street. Sekeping Retreats is a brand famous for modern architecture guesthouses that pair industrial design with natural elements. The artist behind the project is Sek San, whose vision is to create living space in harmony with nature. The enormous space is raw and gentle at the same time. It completely blew me away with washed out walls, concrete floors and scattered plants mixed with natural light entering through the roof. This design blends in so well with the unique architecture of the heritage site that is Old Town Penang. After recovering from photographic hyperactiveness I sat down to enjoy a single origin Panama Lerida Veranera, roasted by Artisan Roastery from Kuala Lumpur, in a cafe latte. This perfectly balanced and naturally sweet cup with notes of cherry made my day! Just when I thought things could not possibly get any better, Jo came by my table with a sample filter coffee, a Geisha from Kotowa in Panama everyone (! ), to which he added a small slice of orange. Geisha is my favourite, and there I was, having it with a twist, from the same coffee farm I visited last year in Boquete. Before venturing into coffee, the duo spent a lot of time in coffee shops themselves, Jo in KL and Shean in London. They plan to stick around in Penang for a while and after that, who knows? For sure they are already brewing some innovative ideas for the future! Take a seat, have a coffee! Oh, and while you're at it, how about some Churros or a Cronut? The Alley has it all! Open since 2013, this place is like a little boy trapped in an old man's body. In this case, the old man being a beautiful historic building that used to be a Chinese shop.. (In fact, you must look twice to find the cafe.) And the young boy being the fun and playful interior that keeps coffee lovers entertained. Keep an eye out for the barista barometer in the window, and you're in the right place. The Alley changes the blend every half year. Currently, they are brewing "The Defender", medium-dark with beans from Brazil, Colombia and Nicaragua on a Synesso. The roasting profile is being decided on site in Penang but the beans are roasted in Kuala Lumpur. Their refreshing specialty for the hot season is SPRO'n Tonic, espresso with tonic water. Not only a cafe but also a roastery, Coffee Affairs is a cute place to get a cup of specialty coffee in Penang. While the branch in Old Town opened in 2014, they just started a second branch at Forest Kitchen. 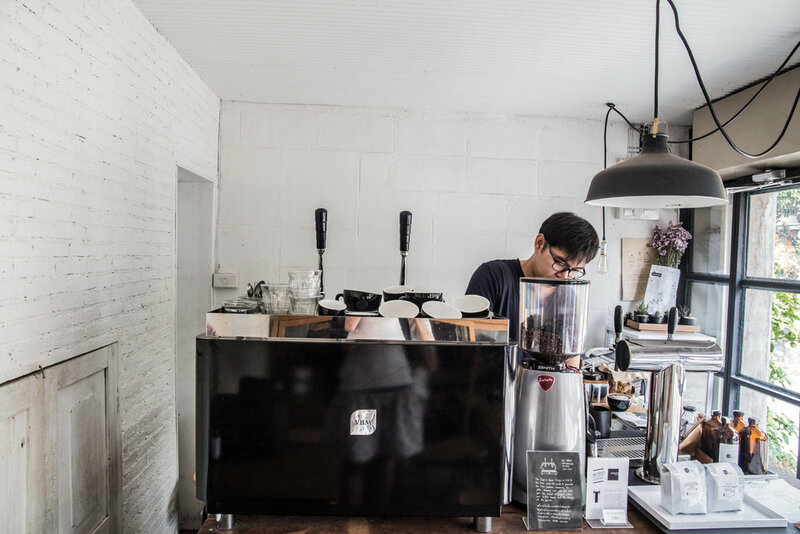 The owner learned about coffee in South Korea and supports other coffee shops in Penang to lift their quality standards. The choice for pour-over is endless, including single origin beans from Brazil, Costa Rica, Colombia, Guatemala, Sumatra and Jamaica to Ethiopia and Kenya. For practicing latte art the baristas are huge fans of Dritan Alsela, whom I met a couple of months back. He is a real icon in Southeast Asia and an inspiration for young coffee professionals.